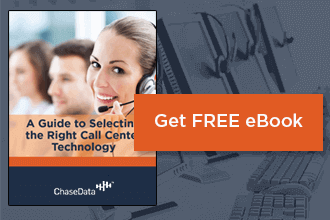 Striking a balance between adequate staffing and labor costs can be difficult when managing a call center. You don’t want so many agents on-site that you’re paying people to stare at a blank screen for hours, but you also don’t want to be understaffed and force callers to wait for long periods of time, either. The solution to both issues may be found in employing home-based agents to handle overflow calls. Telecommuting as a method of being present for work has risen in popularity dramatically over the last decade. This is due to several factors, one of the largest of which is the development of more efficient technologies for communication in the professional setting. These days, employers can conduct meetings, assign tasks and receive completed ones, direct calls and have them received by agents – all without stepping out of their office. These tasks being handled by home-based agents can reduce costs, lessen stress, and increase the amount of work a company is able to do without sharp increases to labor costs. Agents can work from anywhere. This is a major advantage for today’s professionals, many of whom are trying to balance work, family, education, and other commitments. They can perform their duties from home while traveling, and in many places in between. Equipment is typically minimal and portable, making remote work possible in almost any location. Productivity is not decreased when compared to an agent working on-site. Some employers may worry about this, but productivity has actually been shown to be higher when agents work in shorter, home-based bursts than clocking a solid eight hours at a location where they may only receive a handful of calls. The option to work as a home-based agent improves employee satisfaction. Many agents consider it a job perk to have the ability to work from home and are quick to volunteer to become a remote agent when you need to reduce your on-site workforce. Worker turnover is decreased by eliminating the need for a daily commute. Losing a well-trained employee and being forced to hire and train a replacement can cost hundreds or thousands. Save your company the time and money by offering the ability to work from home. Every aspect of the daily commute that employees hate can be cut down on with the rise of remote work. From traffic jams and accidents, air pollution caused by automobile traffic, employee tardiness or absence caused by these issues and more, all of it can be drastically reduced with the use of home-based workforce members. Remote work increases collaboration and communication between staff members, leading to more well-rounded ideas and concepts as teams that might not otherwise have a chance to work together are able to. Home-based agents are often those who might not otherwise have the opportunity to be employed or contribute to projects due to geographic location. This increased the talent pool that an employer can draw from, as well as expending the workforce without drastically increasing labor costs. This way, when one group of agents is tired from a heavy workload, a new group can be brought in remotely who are not feeling that drain. This always keeps the workforce fresh and energetic. Breaking down language barriers – Because employees can be brought not your workforce from almost anywhere in the world and all over the nation, language and cultural barriers between you and your clients will become a thing of the past. This expands the reach of your marketing to consumers you might never have been able to assist before. Discrimination and accusations thereof are reduced or even eliminated as all agents are working remotely and are equalized by the remote nature of their interactions. This is especially important in the tense atmosphere that has developed in the professional world over the last decade. Preventing discrimination against your employees and protecting your business from accusations of misconduct is a double benefit of remote work opportunities. Managing your workforce can be tricky on the best of days, but adding remote, home-based agents to the mix makes things even more complicated. Having software in place to help you manage your remote workforce is key. Not only should that software be capable of allowing you to easily direct calls and assign tasks to your remote workforce, it should provide you with the tools you need to offer support while they work. Use messaging, email, and audiovisual calls and conferencing to connect your remote workforce to your onsite staff and management team. This creates a sense of belonging between the various parts of your staff and prevents the all-too-common feeling of disillusionment that can set in when work is done without contact with home site staff day after day. Having a software suite in place to help you perform these regular check-ins and offer support to your staff will keep your home-based agents motivated and on-task. Speaking of being on-task, one of the main challenges faced by employers when utilizing remote labor is that employees who are not being directly monitored by management may be more likely to slack off. It’s just human nature – if you aren’t being watched, you feel free to do more of what you want and less of what you need to. Minimize this by hiring highly-motivated people, discussing expectations for remote work upfront – and using software that allows for thorough monitoring and group engagement to maintain a feeling of focus with all employees, remote and otherwise. There is no reason that you can’t put remote labor to work for your company. Reduce labor costs and stress while making your workforce happier and more productive. It’s a simple solution that may be as easy as outfitting your operation with the right technology – all available here at Chase Data.